When I wrote my post about instant tea, I claimed that it was my first encounter with such a drink. Recently I realised that this was a tiny lie. Why? It’s a really delicious hug in a mug, creamy and tasty. The vanilla version is a little bit too sweet for me, with not much added flavour, but the spiced version is fantastic. For my taste I put in 2 teaspoons rather than the suggested 3, so that it’s not too sugary, but you’ll find how you like it. I always add a dash of milk, but it’s extra good with half or even all hot milk. Anyway, to move onto how this became this week’s drink report, I recently tried the green tea chai latte. I’m a fairly recent convert to green tea – I only started to like it a few years ago, and it’s now in my regular tea rotation. Top tip: if you think you don’t like green tea, it might just be because you’ve had it when the leaves have been burnt, making it bitter. Boil your water then let it cool a little before you add it to the cup, brew it for just 2 minutes and pick a lovely flavour if the pure stuff is too much for you (I love the Twinings Lemon or Peach and Cherry Blossom). It’s delicious and good for you! So, I love chai latte and I love green tea. What’s the next logical step? Try them combined, obviously! This is a drink that I couldn’t imagine – I knew I would really love or really hate it. Luckily the odds swung in my favour and it’s definitely a drink I love. Lighter and more energising than its spiced counterpart, it’s a little bit of an acquired taste, especially as we’re not used to having green tea with milk. I wouldn’t recommend it as a way in to liking green tea as you will then find the usual leafy version much less exciting, but if you’re already converted then this is definitely worth a try as it still has the essence of chai with some greener notes. This one is also 99% caffeine free and gluten free, so it’s pretty healthy and a good bedtime drink. There are a whole host of other Drink Me flavours – the next on my list to try is mango! On a side note, if you are looking for a way into green tea, try one with peppermint – that was definitely the bridge-tea for me. Do you like green tea? 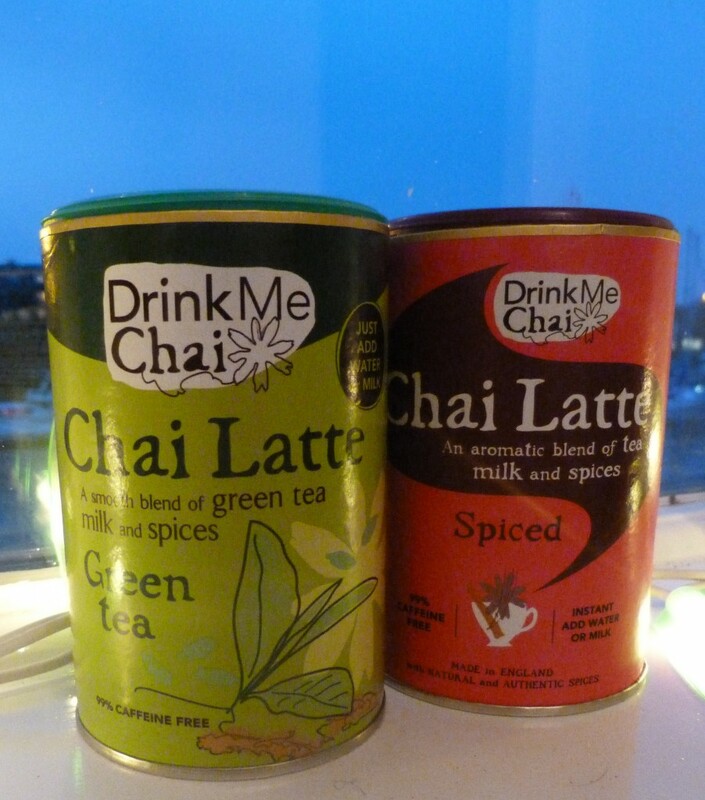 Have you tried green tea chai latte?